New Jersey's waters are a valuable and vulnerable resource. 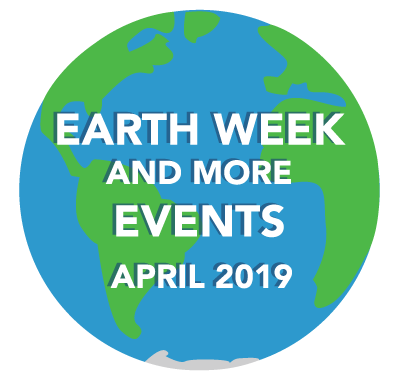 The AmeriCorps New Jersey Watershed Ambassadors Program plays an important role in raising awareness of how human activities can affect water quality, especially in the most densely populated state in the nation. 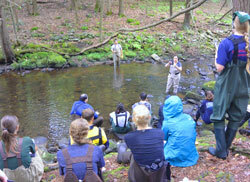 Each year, a new group of 20 Watershed Ambassadors engage with community members, channeling awareness into action. 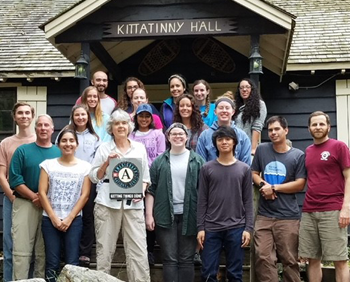 The AmeriCorps NJ Watershed Ambassadors Program, now in its 19th year, is administered by the New Jersey Department of Environmental Protection, Division of Water Monitoring and Standards. 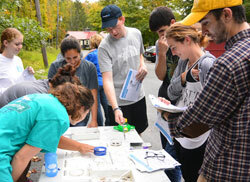 The goals of the program are to promote watershed stewardship through education and direct community involvement, and to monitor stream health through performing visual and biological assessments. Individual AmeriCorps members are assigned to each of New Jersey's 20 watershed management areas (WMAs) to serve as "Watershed Ambassadors" to their watershed communities.